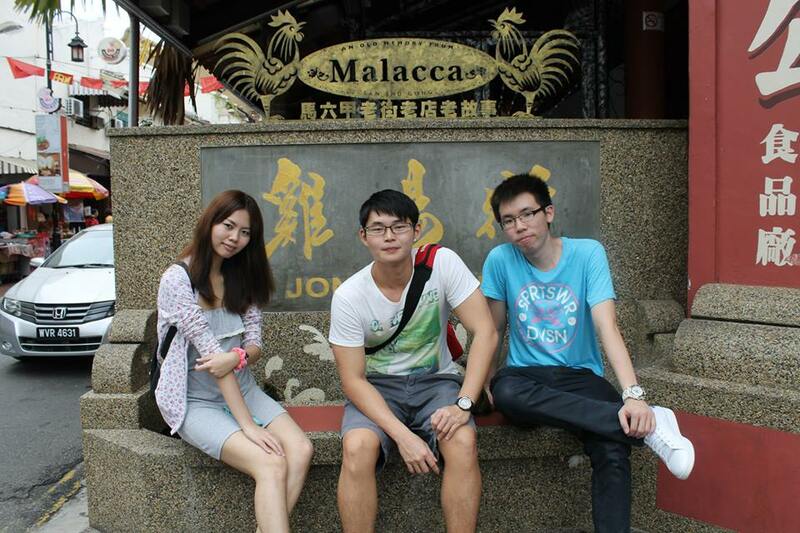 The 2nd day, which was also the last day of me and my friends Malacca trip back in April. Wrote the first day blog post back then but the second day four months later wtf!!! Hahaha. Hopefully I can still recall the stuff we did back then. 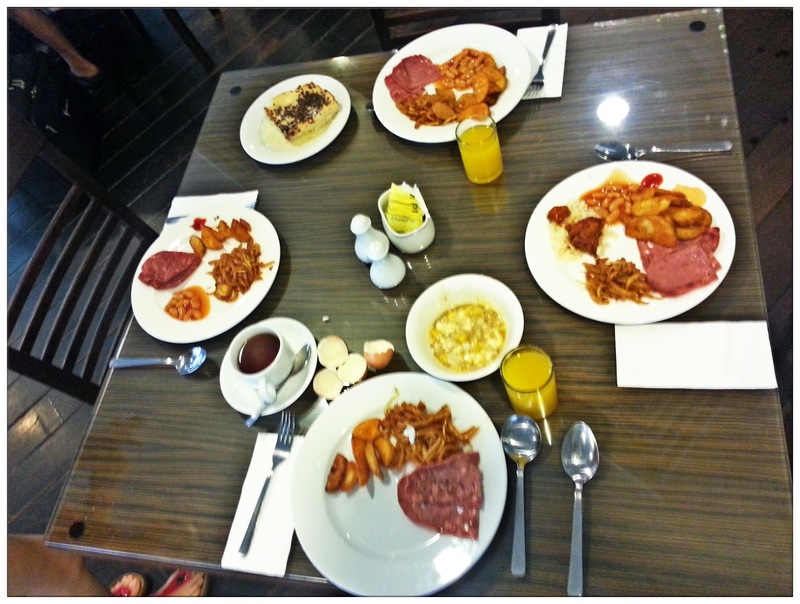 Hotel breakfast to start our day. If you ask me, they are not really tasty. lol. Random photos we took inside the hotel room. A lot of em. By a lot I really mean A LOT!!! lol. 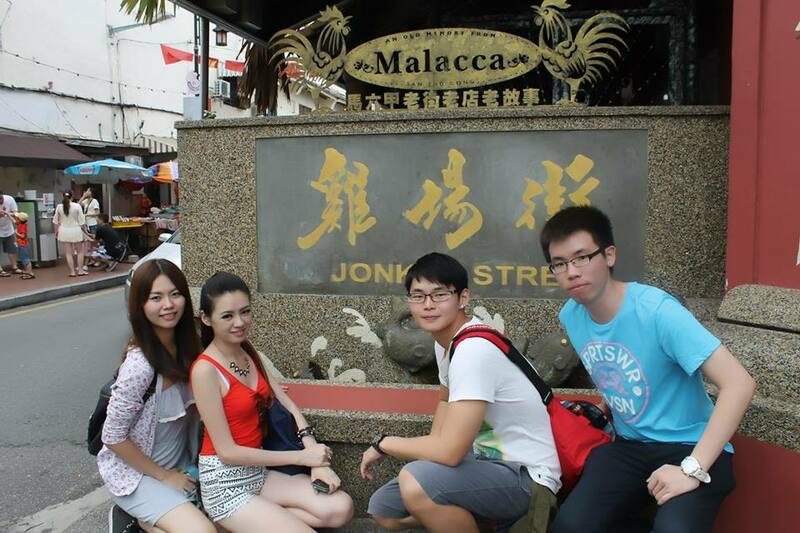 Jonker Street as our first destination that day after checkout from hotel. 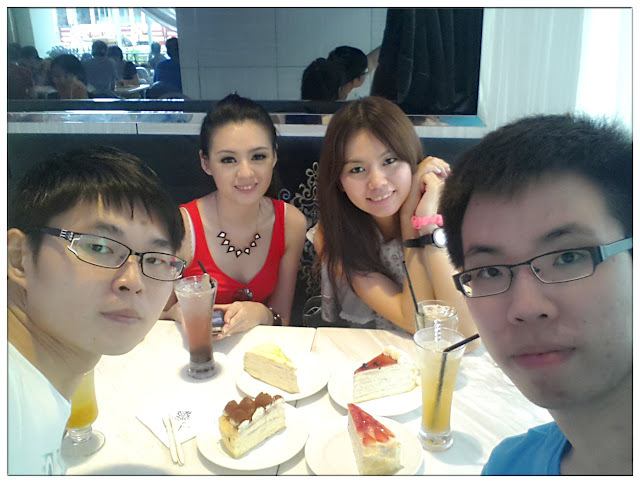 Basically, this group of people like to take photo. It's been quite some time since I last took photos like how I did back in this Malacca trip. It was still a big hit back then! Jason's phone ringtone was that song which made Kevin damn pissed off, especially when they share room and Jason's phone keep ringing. Hahahaha. The reason why I didn't blog about the 2nd day of the trip straightaway is because aside from the photos I took with my phone, there are tons of photos in both Elise's and Jason's DSLR, so have to wait them to upload the photos so I can grab and share in the blog post. Didn't realized that procrastinate till 4 months later, lol. Hence you can see the difference in terms of photo quality. 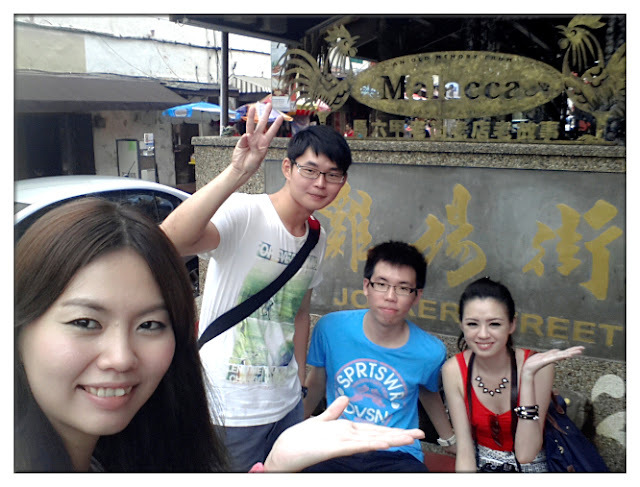 The first thing we do when we reach Jonker Street - Eat. 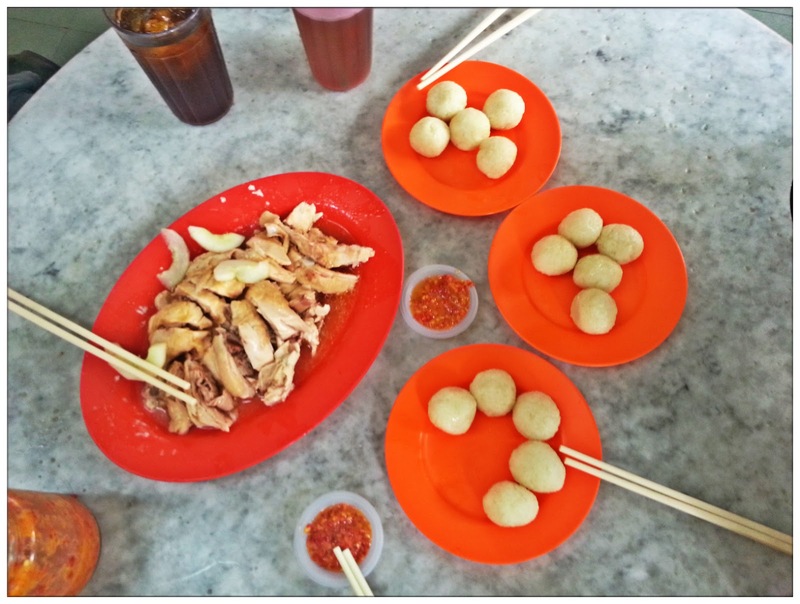 Chicken Rice Ball is yum! Tried a few restaurants for Malacca's signature dish - Chicken rice balls and in my opinion, the best will still have to be Restaurant Chung Wah, the very first restaurant where the origin of chicken rice balls come from. Although I'm not a big fan of steamed chicken, but somehow I like their steamed chicken, and the rice balls are tasteful too. That's why you never see the restaurant empty, and always long queue outside of it. It's located at the small roundabout at the entrance of Jonker street. Not a fancy restaurant but they got the taste where you will go back again and again! Stuff 2 heavy meals in just few hours time is really something difficult, and we decided to go for dessert, which is the coconut shake everyone been talking about. Tried to visit the place once but too bad it was closed for Friday prayer so this time, I did my research and decided to visit the shop again during its opening hours. 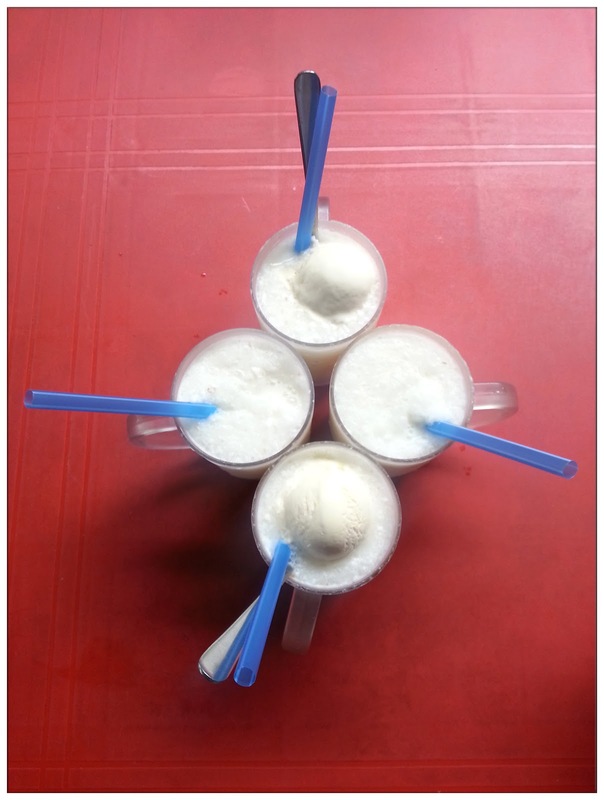 Without ice cream is Coconut Shake normal where with ice cream is Coconut Shake Special. Seriously, forgot how much it is. RM2-ish I think. Love it with vanilla ice cream! Klebang coconut shake located at Kampung Klebang, a seaside village. 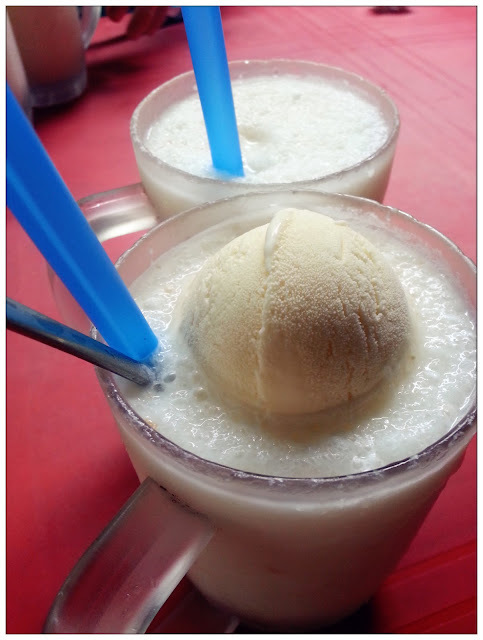 It's kinda hard to find the junction to turn into the shop if you're first time there, but just keep an eye on the roadside you will find there's a stall at roadside selling coconut shake so turning into the small road beside the stall and you will reach the shop. The business is running by Malay family so they won't be open during Friday morning till noon and business hours start from 2pm on Friday. It's kinda far from Jonker street and the main city areas of Malacca, so you will have to possess own transportation to Kampung Klebang. Walking from Malacca town area to the place will be impossible so don't even try. After food and desserts, it's time to explore some of Malacca's historical places. 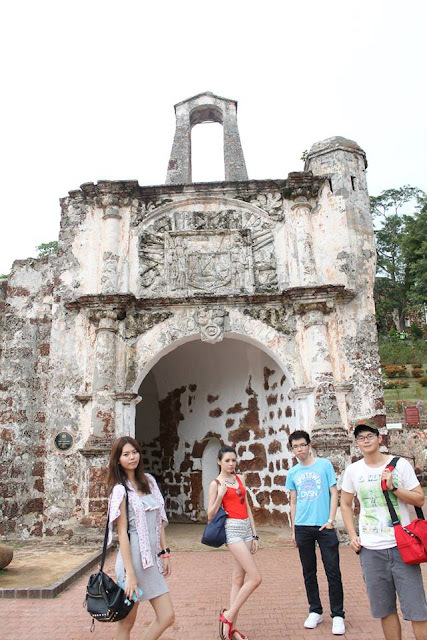 Too bad it was going to rain that day and we don't really have enough time to visit St. Paul's Church up on the hill. Just roughly visited A Famosa below, took tons of silly photos again. lol. Or maybe I should say I'm the only one who took silly photos. 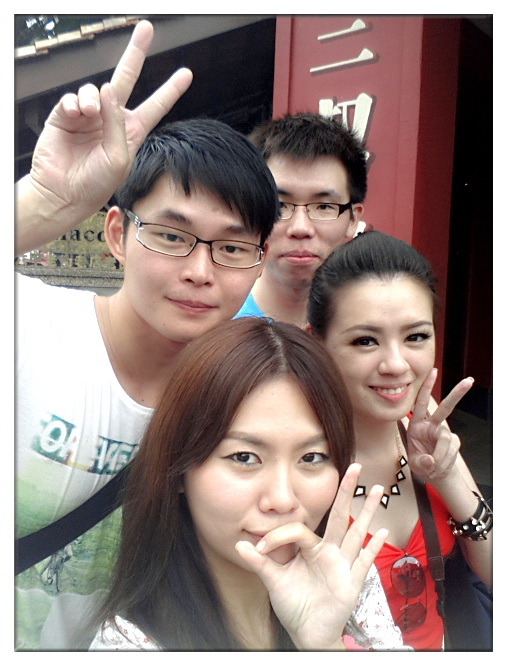 Friends don't let friends do silly stuff alone, remember??? Tons of funny cat names and quotes. 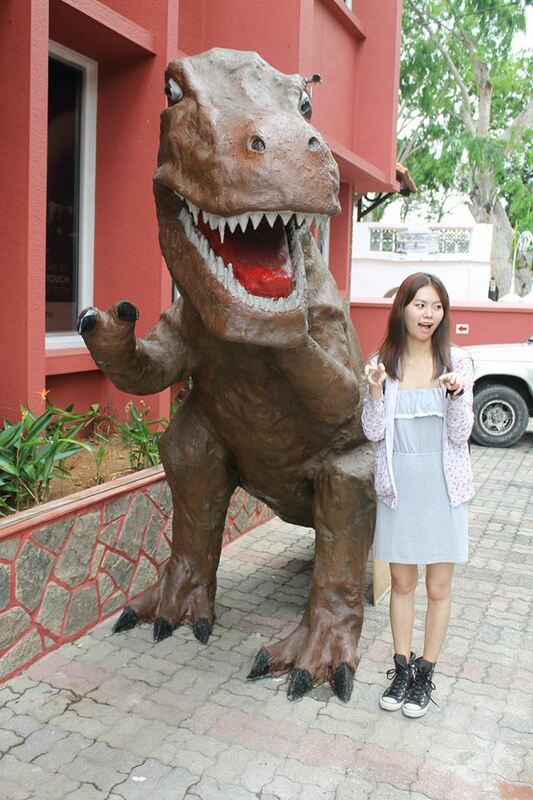 Have no idea why there's a T-Rex in front of the building. lol. 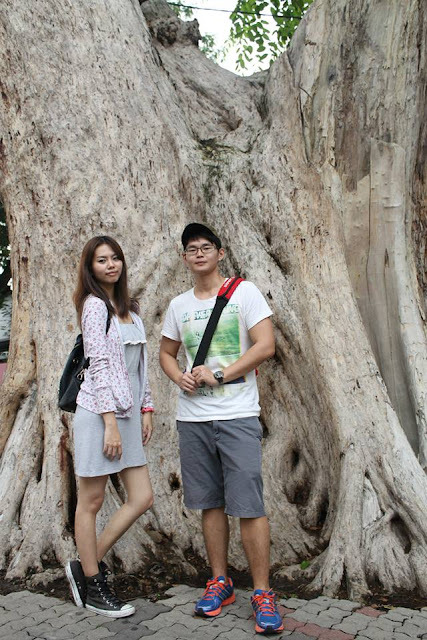 More than hundred years old! From Jonker Street till A Famosa. 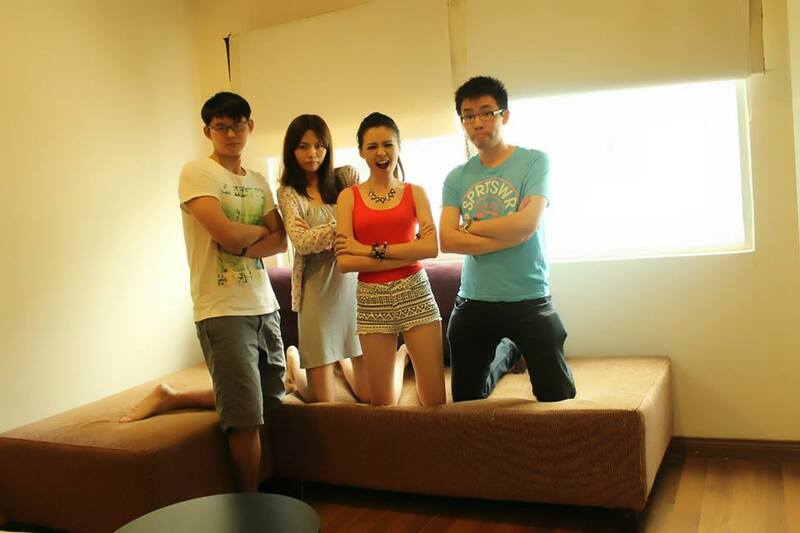 Group photo ala gangster style. And continue walking, we reached Dataran Pahlawan and its huge field. We spent about half an hour there just because we can't get a satisfying jumping shot of four of us. So hard when using timer to take action shots. Maybe we're just too noob, lol. Then, I remembered it rained that afternoon and we went to Mahkota Parade's branch of Nadeje and chill. I have no idea what's the hype is about for the mille crepes but we still ordered one piece each for ourselves that day. It's not that special and "only-can-get-in-Melacca" anymore as there's a Nadeje branch opened at Jaya 33, PJ months ago. How many of you have already tried all the flavours that Nadeje have? We walked from Jonker Street to Dahtaran Pahlawan to Mahkota Parade and walk back to Jonker Street for its night market. It was kinda tiring but fun. What we did during that 2 days 1 night trip is just eat. Stop by here to eat, stop by there to eat, eat everything we find delicious. lol. 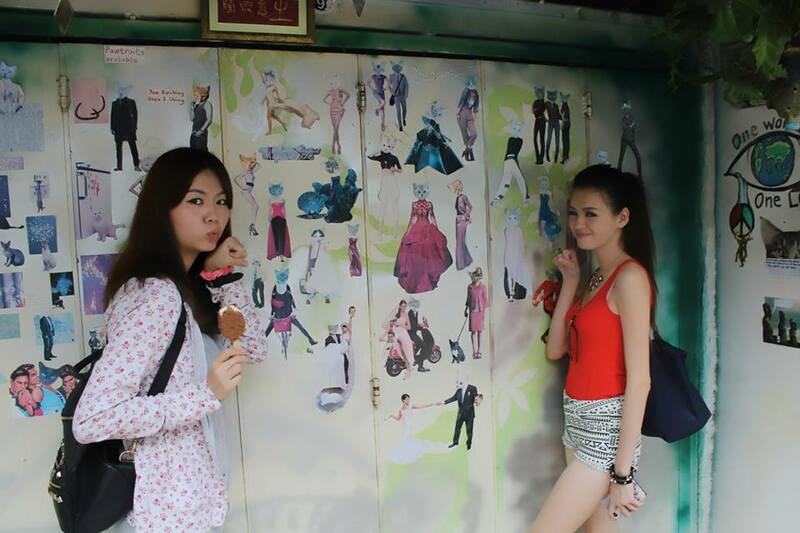 So how can we miss what's selling at Jonker88, right? 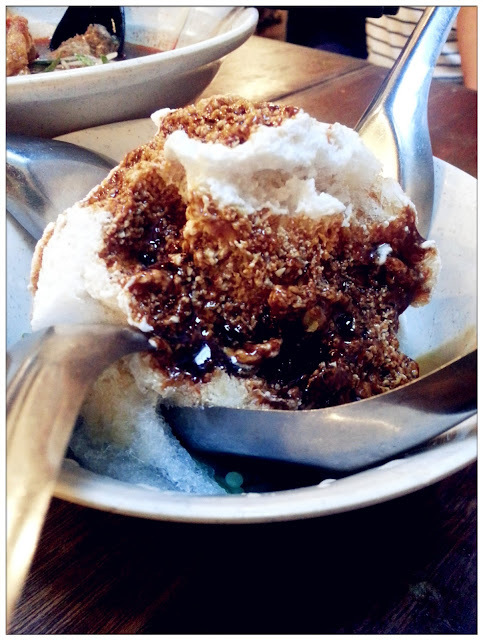 With super delicious gula melaka! 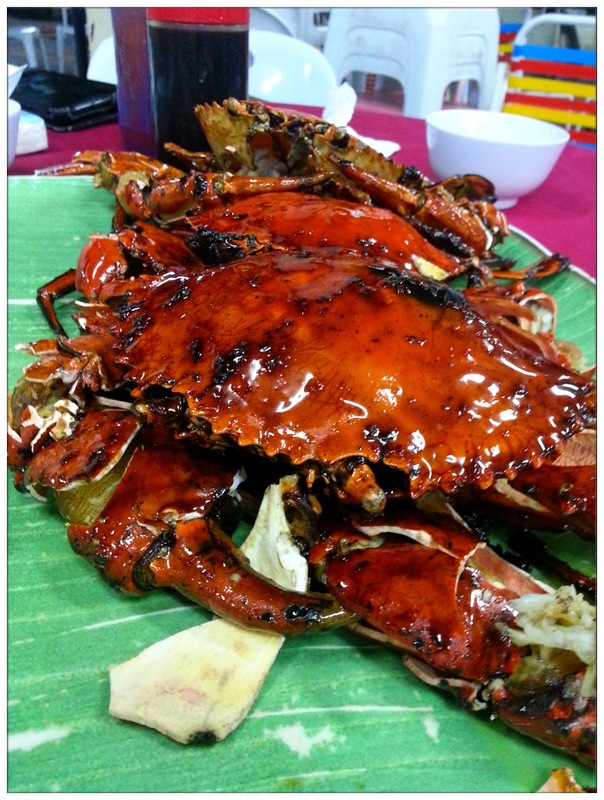 Yums!!! 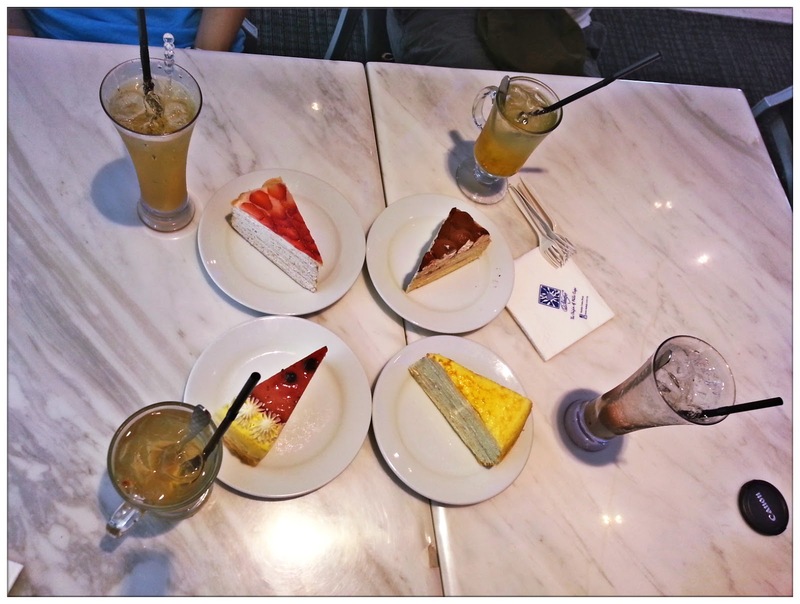 Although you have to queue for quite some time, and hard to get empty tables and seats inside the restaurant, but the food is worth for your time and every cent you spent. Go earlier as some of the food will finish before evening, as this was my experience for going late to Jonker88 for my past 2 visits to Malacca, I only can eat their Asam Laksa but not their Baba Kahwin Nyonya Laksa! Sobs. I will go earlier for my next visit to have what I'm craving for! 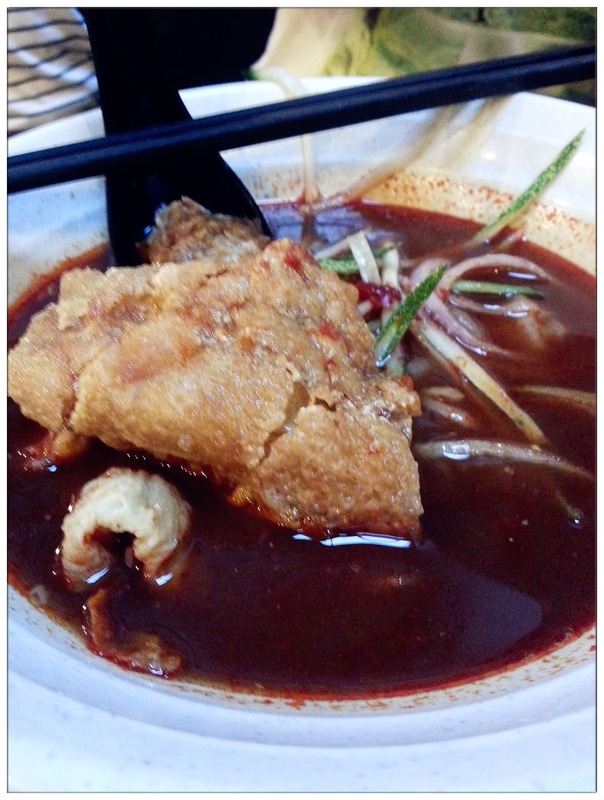 Fried wanton skin with the restaurant's signature chili sauce. 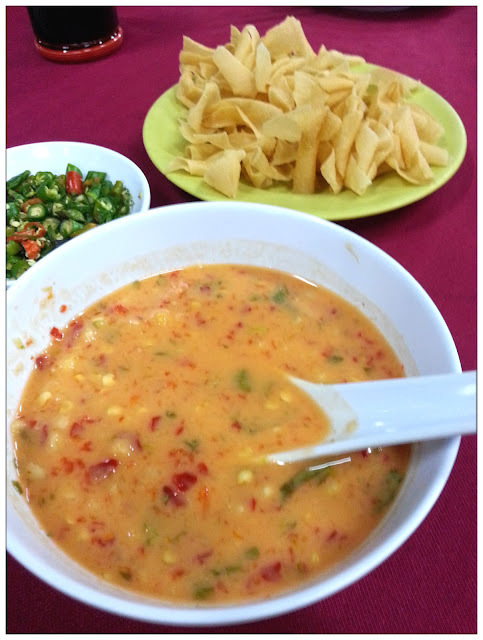 It is OH-EM-GEE delicious I don't know what they used to make the chili sauce so irresistable!!! Wish I can buy a big jar back to KL with me. Kinda Salty, as told by most of my friends who ate before. 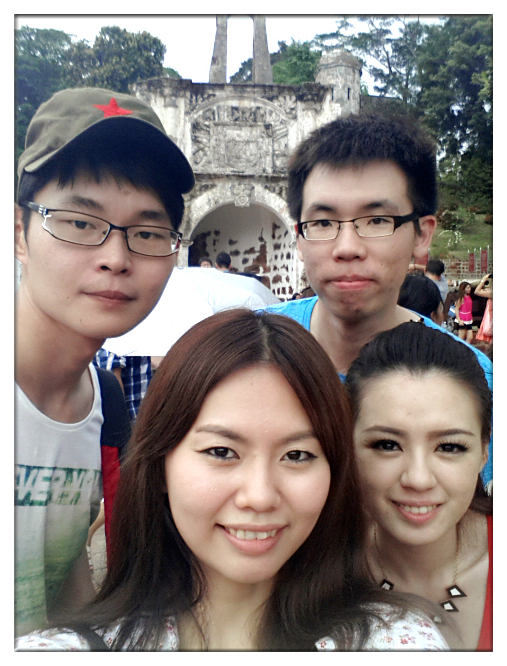 This Malacca trip was the most intense one compared to all my previous trip as we were non-stop eating. In just 31 hours we've already ate 13 times regardless heavy meals or light snacks. LOL. How can not gain weight right? 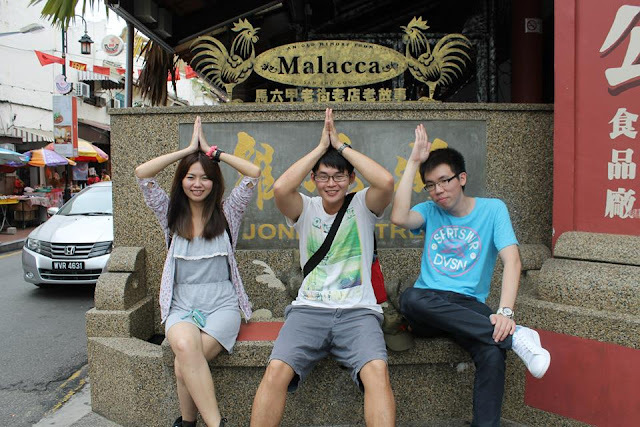 But yeah, overall it was a fun trip and I'm missing the laughter, the beautiful sceneries and the delicious food of Malacca again. But guess what, I'm heading to Malacca again tomorrow! Wahahaha! Can't wait to stuff all the delicious food inside my tummy!!! YUMS!! !